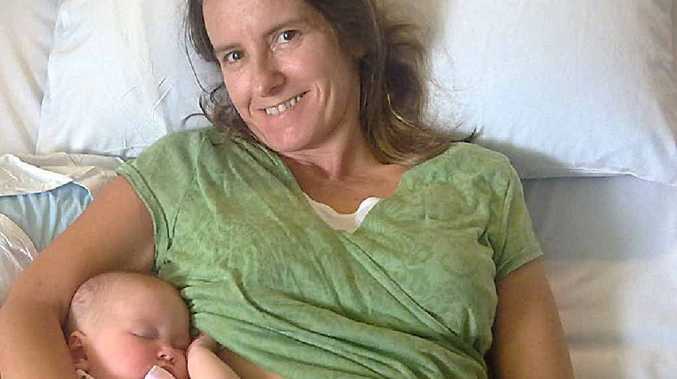 THE campaign has begun to help Gympie miracle mum Amanda LePeilbet make it home by Mother's Day. Amanda contracted the devastating Guillain-Barre syndrome last December when she was 38-and-a-half-weeks pregnant with her daughter Cloe and within a week was almost completely paralysed. She remains in hospital on the Sunshine Coast where she is learning to walk again, but is desperate to return home by Mother's Day. Friends of Amanda are doing everything they can to make that happen, and details of fundraising events will be finalised and published soon. A Facebook page has been set up called Bringing Amanda and Cloe Home to Gympie, and an appeal fund will be formally established so any funds donated will be totally accounted for. One of the goals of those helping Amanda is to refit the bathroom of her and Ered's Queenslander to make it usable (replace the bath with a shower, install grab rails and the like). Qualified labour is needed for this task, as well as labour assistance, tiles, shower fittings and handicap fittings. To concrete the driveway and footpath to the house also requires qualified labour, labour assistance, concrete, mesh and other materials. And to fit out a caravan shell for Amanda's carers, it will need a bed, air-conditioning, windows, flooring and anything to make the van a home away from home. "If you have any of the materials needed or would prefer to provide funds so we can purchase them, please let us know," a spokesman for the campaign said. Anyone able to help can contact bringing.amanda.and.cloe.home@gmail.com or janwattcontact@gmail.com, councillor Jan Watt on 0437 733 383 or visit the Facebook page.